Are you a CAT LOVER ?! Well, ours is CAT ! Portions of these sales will be donated to animal shelters ! Show the world your feline spirit and join MAC in being a cat of many colors ! 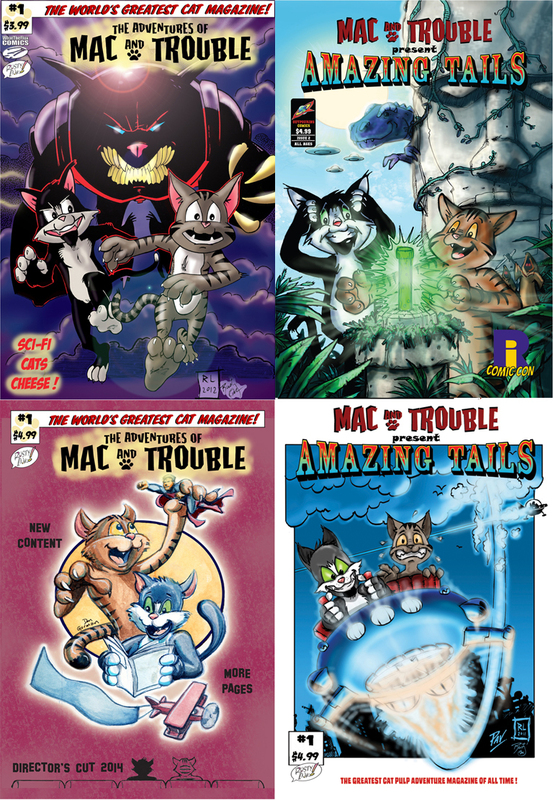 MAC is one half of the famous MAC AND TROUBLE comics published by Rusty Ink! And you can even download free comic books at www.macandtrouble.com ! !